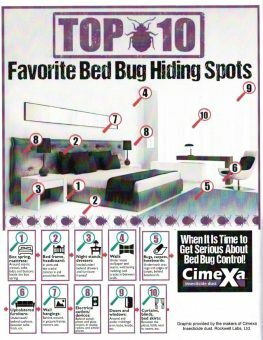 During the early stages of an infestation, bed bugs tend to be located very close to beds and/or upholstered furniture. As populations increase in age and size, however, the likelihood of finding bed bugs in unpredictable areas away from the host-feeding sites also increases. 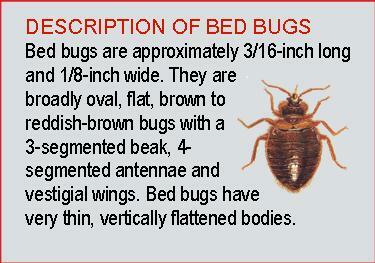 Bed bugs typically stay within 8 feet of their host. 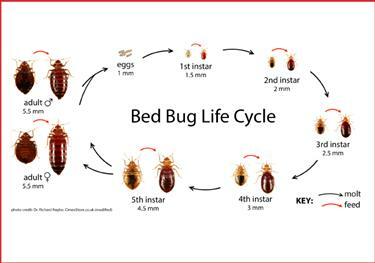 A bed bug service consists of treating the bed frame, mattress, box springs, night stand, dresser, window coverings, closet shelves, baseboards, and wall voids. We utilize a combination of products including a residual insecticide, an insect growth regulator, insecticidal dust and a flushing agent. 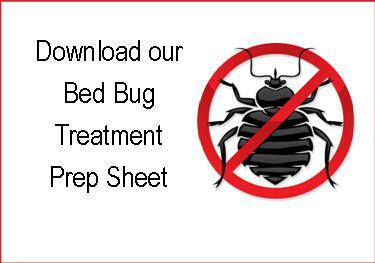 We recommend a follow up treatment 2 weeks following the initial service due to the typical life-cycle of the bed bug. Remove all clothing and items from floor, underside of bed, and closet floors. Inspect, treat or carefully dispose of all infested items. Place all books and other items from shelves and closets into plastic bags and leave in room. All items should be removed from dressers and night stands. Mattress and box springs need to be stood up against the wall and the fabric removed from the bottom of the box springs. Disassemble the bed frame. Vacuum all visible bed bugs. Move furniture 2-3 feet from wall. Vacuum carpet throughout room, beneath furniture and in closets. Carefully dispose of vacuum cleaner bags and empty canisters. Encase treated mattress and box springs after drying. 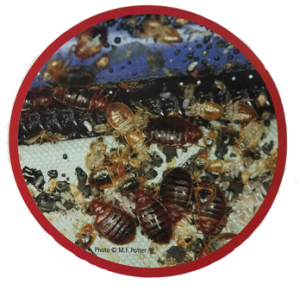 We recommend utilizing Scen-Sci bed bug monitors in rooms that are not treated.